It’s a well-known industry truth: Netflix doesn’t discuss its ratings. Sure, sometimes it’ll dole out a tidbit or two, reminding us that we’re all a bunch of binge-watching tubs of goo. But the company keeps its actual viewership numbers very quiet. The assumption is that there’s no especially good reason for the streaming service to share its data, since it doesn’t have advertisers to placate, and the misconceptions inherent in mapping the company’s model to more traditional, Nielsen-style ratings could be actively harmful to its health as a “network.”. But maybe it’s not all self-interest at play, either; maybe there’s some altruism, too. Maybe chief content officer Ted Sarandos and company are protecting us all, shielding the world from a dark and terrible truth. Like, say, the idea that Fuller House might be the most popular show on TV. That’s per tech company Symphony Advanced Media, whose attempts to crack the Netflix viewership code we’ve reported on before. (NBC loudly touted their methods back in January, although Netflix was quick to call the quoted viewership numbers “remarkably inaccurate.”) The company uses a subscriber-based smartphone app that can listen in and identify what its users are watching from distinctive audio cues, and then extrapolates ratings data from those supposedly representative groups. 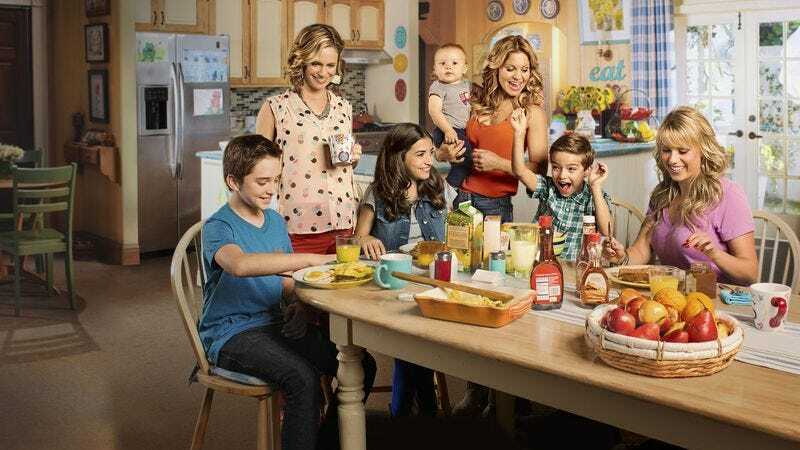 Using that information, it’s claiming that Fuller House is easily Netflix’s most popular show, drawing in 14.4 million people who somehow hadn’t had their fill of Kimmy Gibbler yet. That’s in the 18-49 demographic, and in the show’s first 35 days of streaming availability, numbers that would make Fuller House more watched than not just anything else on Netflix, but also cable ratings monsters like Game Of Thrones and The Walking Dead.